On 7 July 2017 Science Advances, American scientific Internet-based journal, published an article co-authored by a number of scientists, including Head of Laboratory for Interdisciplinary Research of West Siberian and Altai Archaeology under Altai State University Anatoly P. Derevyanko. 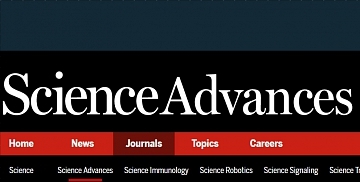 Science Advances is an academic journal of the American Association for the Advancement of Science (AAAS). 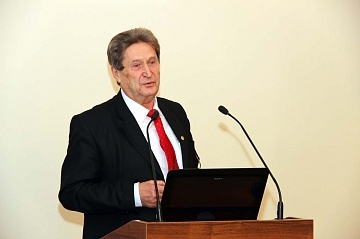 An article entitled “A fourth Denisovian individual”, which was published in the journal on 7 July 2017, was written by 13 authors, including such prominent archaeologists and specialists in paleogenetics as Director of the Institute of Archaeology and Ethnography under Siberian Branch of the Russian Academy of Sciences, Doctor of History, corresponding member of the Academy of Sciences Michael V. Shunkov; Head of Laboratory for Interdisciplinary Research of West Siberian and Altai Archaeology under Altai State University, Doctor of History, corresponding member of the Academy of Sciences Anatoly P. Derevyanko; one of the founders of paleogenetics, Director of the Department of Evolutionary Genetics at Max Planck Institute for Evolutionary Anthropology, long-standing partner of A.P. Derevyanko Svante Pääbo; etc. The group of authors represents scientific and research centers and universities of Leipzig, Toronto, Bologna, Novosibirsk, and Barnaul. The fact that academician A.P. Derenyanko is related to Altai State University is rewarding. The article analyzes the results of genetic research of the tooth, which comes from a female Denisovian individual, whose remains were discovered in the course of expedition under the supervision of academician A.P. Derevyanko in Denisova Cave in the Altai Mountains. As a result, the scientists have proved that Denisovians had been living on the territory of Altai for a longer period, than people used to think.